"Here's what I miss: the always loud, sometimes smelly, too-close chaos of the Q train at rush hour." I recently moved from Brooklyn (population: 2.5 million) to Nederland (population 1,500). I edit Read It Forward from this tiny town high up in the Colorado mountains, a far cry from the hustle-and-bustle of the city. On some days, your always-welcome website comments, Facebook posts, and tweets are my only contact with the outside world. Which brings me to my current dilemma: the great outdoors has ruined me as a reader. What happened? Mother Nature happened, that’s what. All her bounty and beauty, right outside my window. You’d think moving to this idyllic snowed-in mountain house would give me the quiet space to read more than ever before. Instead, I find myself completely distracted. Birds flying around, squirrels stealing sunflower seeds out of the feeder, the occasional mule deer strolling by, snow blowing off the ponderosas, sunlight shining on the hillside, clouds cruising down the valley . . . it’s just too much. Here’s what I miss: the always loud, sometimes smelly, too-close chaos of the Q train at rush hour. (That’s a sentence I never thought I’d write.) 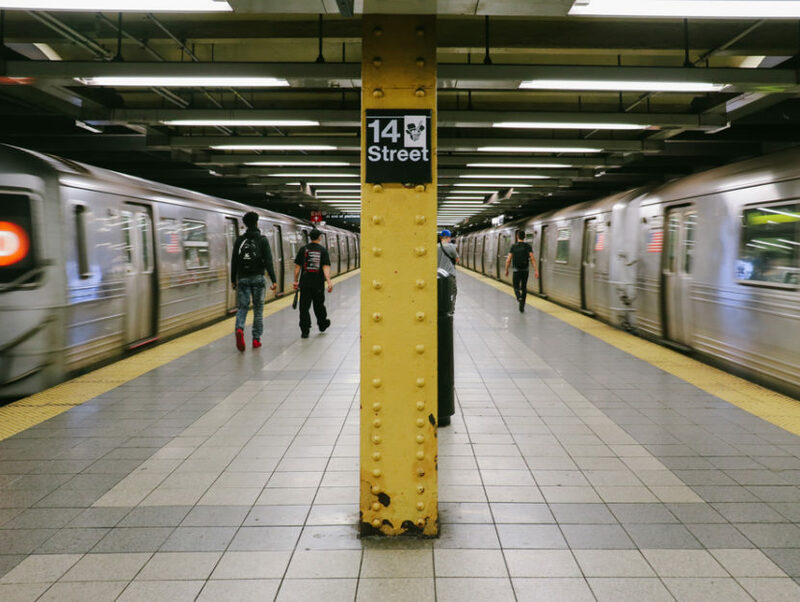 Sitting, standing, swaying with the train, my ears plugged with music, my mind totally focused on my reading – I was never distracted while riding the subway. I was often in danger of missing my stop I was so lost in the story. I desperately needed books to give me my own space. Now I have more space than I know what to do with. But I’m confident this is just a period of adjustment. With time, I’ll get my reading mojo back. I have to admit, though, it does kinda freak me out that it took me over a month to finish Abraham Verghese’s Cutting for Stone. It’s the sort of book (even at 560 pages) that in my past life I would have blasted through in a week on my subway commute between Brooklyn and the city, especially since I was reading it for book group. But not here, not now anyway. The great outdoors beckons. And (happily) distracts. Maybe I should move my desk away from the windows, settle into a corner facing a wall, sit myself on an uncomfortable chair, plug into my iPod, and try to recreate the NYC subway. All I’ll need are some grumpy New Yorkers jostling me, the wha-wha-wha of the conductor on a broken loudspeaker, the chime of the doors opening and closing, and I’ll be back in prime form, tearing through a book every other day.